Step 1. Import the public key used by the package management system. The Ubuntu package management tools (i.e. dpkg and apt) ensure package consistency and authenticity by requiring that distributors sign packages with GPG keys. Step 2. Create a /etc/apt/sources.list.d/mongodb-enterprise.list file for MongoDB. Step 3. Reload local package database. Step 4. 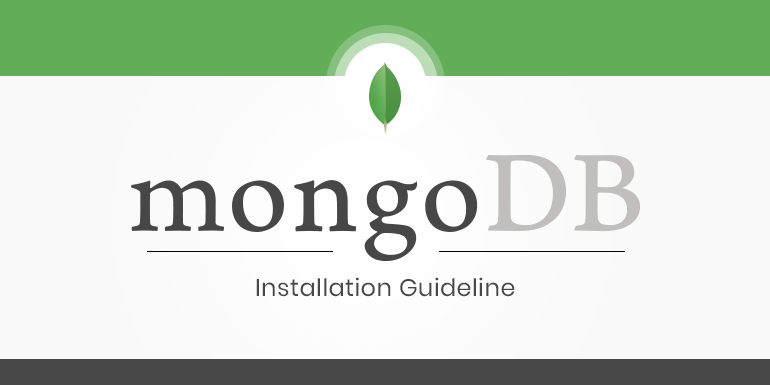 Install the MongoDB Enterprise packages. Install MongoDB Enterprise version 3.6. <port> is the port the mongod listens on. If you modified the net.port setting in the /etc/mongod.conf configuration file, the port may differ. In Windows Explorer, locate the downloaded MongoDB .msi file, which typically is located in the default Downloads folder. Double-click the .msi file. The Windows Installer guides you through the installation process. Step 1: Open an Administrator command prompt. Press the Win key, type cmd, and press Ctrl + Shift + Enter to run the Command Prompt as Administrator. Step 4: Create the MongoDB service. Command: sc.exe create MongoDB binPath= "\"F:\Mongodb\bin\mongod.exe\" --service --config=\"F:\Mongodb\mongod.cfg\"" DisplayName= "MongoDB" start= "auto"
Step 5: Start the MongoDB service. Step 7: Connect to MongoDB. Step 8: Stop or remove the MongoDB service as needed.